Dr. Jackson's Natural Products’ ‘Expedition’ tea has been formulated to include immune boosting antioxidants and minerals as well as natural ingredients to help combat the signs of ageing. 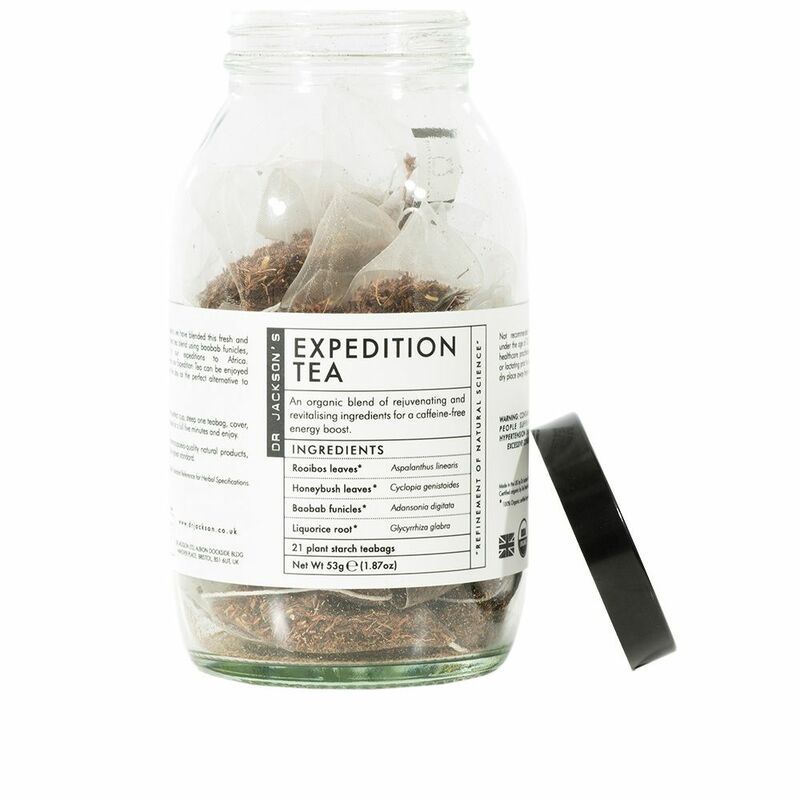 This tea is the perfect way to kick-start your morning and can be enjoyed throughout the day. 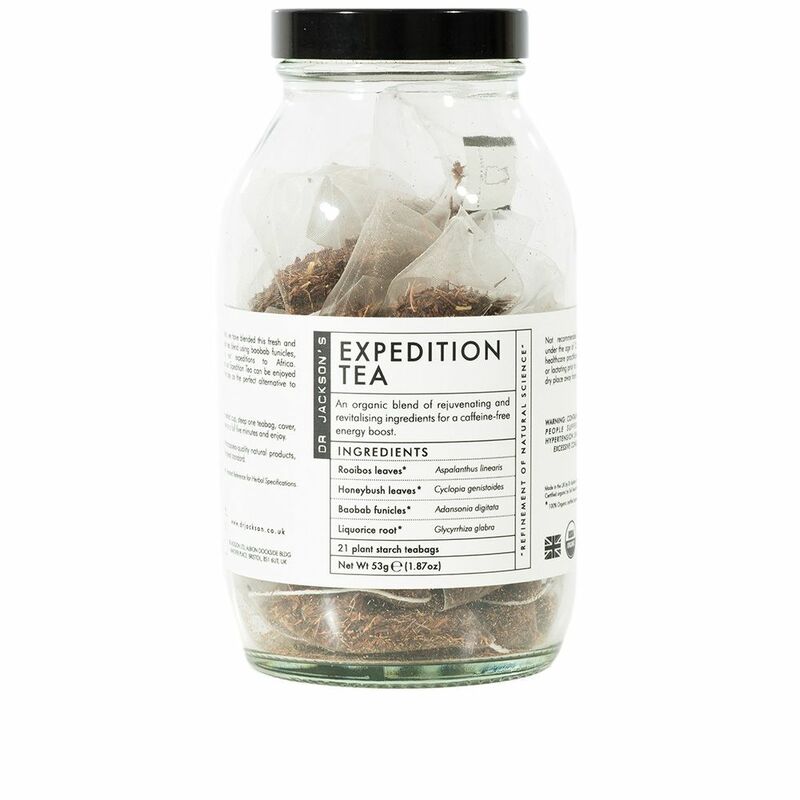 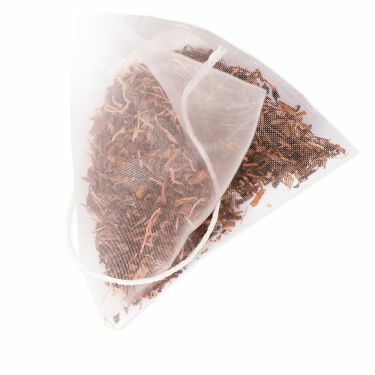 Created with a blend of rooibos, honeybush, liquorice and baobab funicles, the tea has six times more antioxidants in in than green tea.